A common thread throughout the world of carnivorous plants is that all hail from nutrient poor environments. That is why they evolved carnivory in the first place, as a way of supplementing their nitrogen and phosphorous needs. For as amazing as their various adaptations are, the evolutionary histories of the world's carnivorous plants are still largely shrouded in mystery. A recent paper published in the Annals of Botany takes a closer look at what goes on inside the pitchers of the tropical pitcher plant Nepenthes alata. What they found is quite amazing. As it turns out, N. alata seems to be able to regulate the amount of digestive enzymes within its pitchers based on prey availability. This makes a lot of sense. Since these species live in nutrient poor conditions, it would be very wasteful to continuously produce digestive fluids. Instead, the research team found that the genes responsible for the productive of digestive enzymes turn on in response to certain cues. In this case, its the presence of insect tissues, specifically chitin. The addition of insect prey coincided with a 24 to 48 hour burst in digestive enzyme production followed by a gradual decrease as the insects were digested. As interesting as this is, these were not the only findings to come out of this research. 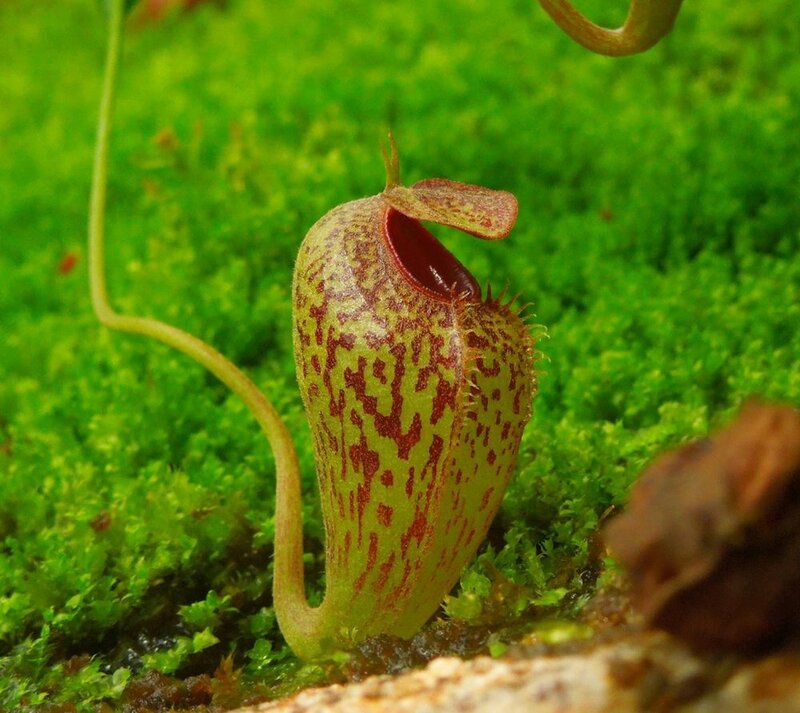 When the researchers looked closely at what kinds of enzymes N. alata were producing, they discovered evidence in support of a long-held hypothesis regarding the evolution of carnivory in plants. The genetic pathways induced by the addition of insect chitin are nearly identical to those seen in plant defense pathways. These pathways also induced the production of a series of proteins known to play a role in plant defense reactions against microbial pathogens. What's more, many of the enzymes N. alata were producing inside their pitchers are classified as defense-related proteins. Taken together, this is strong evidence in support of the hypothesis that carnivory in plants evolved from defense reactions already in place. This finding comes in the wake of an earlier discovery that showed similar pathways in the traps of the Venus fly trap. This is yet more evidence for the fact that evolution does not always occur via novel pathways. Instead, systems that are already in place are retooled to fit a new set of challenges.